If there's a larger industry in the world than the petroleum petroleum we'd like to know about it. Oil and gas drive the economies of the world. It seems there's never enough oil to fill the demand and with every price increase stock markets are impacted. Oil is always in the news. There is tremendous pressure inside oil companies to find and get at new oil reserves, which can help quench the world's thirst for oil. Supply is shrinking in large part because former third world countries, like India and China, have huge needs for oil to feed their growing industries. The oil companies have been forced to invent and deploy new technology to locate and extract oil. 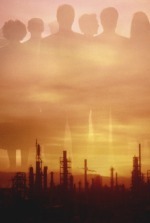 In Canada oil companies are working night and day in what is called the 'oil sands' region of Alberta. They are able to extract heavy oil from what is essentially sand and then refine it into usable crude. Also, due in part to strict environmental laws oil companies have been forced to come up with new ways of drilling to get at oil underground without disturbing sensitive areas. Essentially, the oil industry is ever changing and it needs -- it demands -- more people to find and get at the oil. 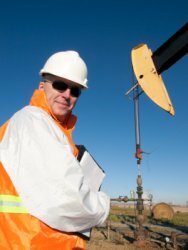 There's a huge demand for petroleum engineers and geoscientists worldwide as well as for 'blue collar' workers who get their hands dirty working drilling jobs and on pipelines and in refineries. Where Is Oil Exploration and Production (E&P) Taking Place? Canada's ouput from the Alberta Oil Sands area helped boost the percentage for North America. You may already have an idea as to what kind of petroleum job you're seeking, whether that be entry-level labor, upper-level management or an administrative position. Administrative. There are many options, most of which will become clear to you soon enough. Upstream activities are those related to oil exploration and production (drilling). A company like British Petroleum (BP) is most definitely a part of the upstream sector. In addition to large companies like Shell and BP you've got contractors who specialize in servicing oil rigs, drilling, manufacturing equipment, running seismic tests, and so forth. After the upstream sector you've got the midstream sector, which is involved with moving oil from production facilities -- via pipelines and oil tankers for instance -- to refineries. Refining is also a midstream activity. You'll find when looking through company listings in our Job Center that many of the largest oil companies have their hands in all three sectors! This means that no matter what type of job, physical labor or office, that you won't want to overlook companies such as B.P. Chevron, and other major players. If you've got your eyes on adventure and want to get dirty then be sure to study our Production, Pipeline, and Refinery sections very carefully. Not only are there many jobs available but the jobs can be remote, pay pretty well, might include room and board, and are sure to get your adrenaline running. As an employee of a large oil company it might be possible, with increasing experience, to move around to different facilities in various parts of the world. Higher level jobs, with pay to match, are found in every sector. But you'll need a lot of education in specific fields of study to land these jobs. No matter what you're after it's covered on OilJobFinder. Join now for full access to over 180 pages of detailed material and to utilize our full-featured Job Center.